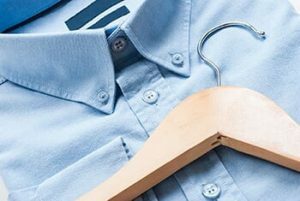 BEST QUALITY DRY CLEANING AND SAME DAY LAUNDERED SHIRT SERVICE STORES – SERVING CHANHASSEN, EXCELSIOR AND ST. CLOUD, MN AREAS. We always strive to give our customers the best possible quality and customer service experience. We have convenient drive-thru at all store locations, 1-Hour Professional Dry Cleaning until 2pm Monday – Saturday, Same Day Laundered Shirt Service Monday-Saturday at no additional charge. Our customers are our biggest asset and the HOUR GLASS team understands and practices this philosophy every day! By choosing Hour Glass Cleaners you have demonstrated your preference for unrivaled expertise. We thank you for the confidence you have placed in us. To give you an introduction to Hour Glass Cleaners indisputable quality and service, it is our pleasure to have you visit our website and any of our store locations. Drive by Hour Glass Cleaners at one of our three dry cleaning locations serving Chanhassen, Excelsior and St. Cloud, MN for the best quality dry cleaning, same-day laundered shirt, and alteration services.